St Helens has taken a positive step towards becoming a host venue at the 2021 Rugby League World Cup (RLWC) after passing the first stage of the bidding process. 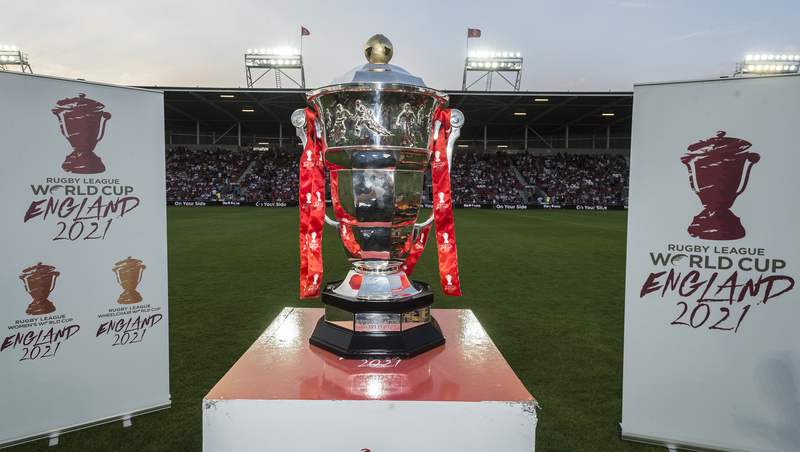 After the borough’s bid was officially handed-over to RFL officials during half-time of a Saints vs Warrington Wolves match last season, it has now been confirmed that St Helens – one of 80 locations across the country to submit a bid – has now entered a ‘candidate stage; where the bid team from the Rugby World Cup will look more closely at the venues and the overall bid. To be held in England in the October and November, organisers are aiming to draw in record crowds at the 2021 tournament, with the men’s, women’s and wheelchair competitions staged in a single, celebratory event – making it the biggest Rugby League World Cup yet. In May this year, St Helens Council’s Cabinet gave the green light for a bid to be publicly launched to bring the tournament to Saints’ 18,000 capacity Totally Wicked Stadium as part of the St Helens 150 celebrations. Initial discussions with tournament organisers resulted in the possibility of the borough hosting a team throughout the duration of the World Cup, using Ruskin Drive Sports Village and Saints’ training base at Cowley Language College as training bases. If successful, the influence of the Rugby League World Cup coming back to town could have a local economic benefit of around £3.6m if three matches are secured – and benefit the grassroots game through legacy projects. 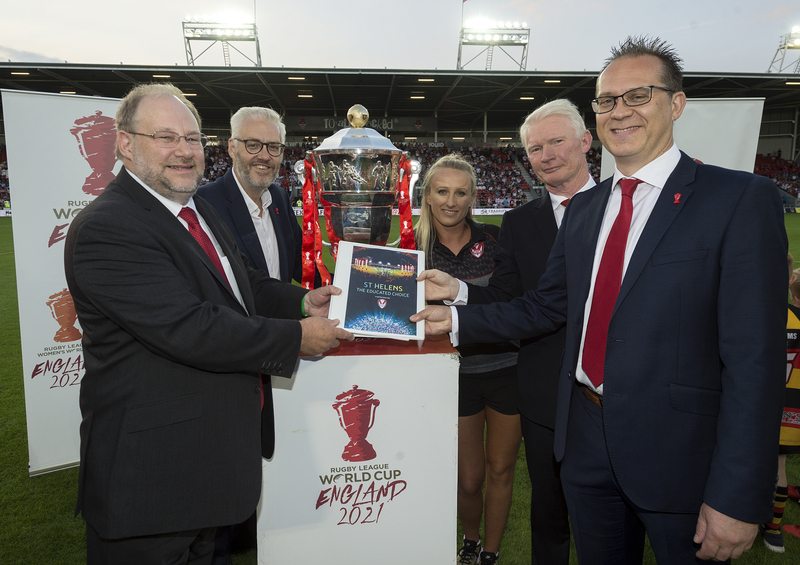 Commenting on the prospect of such a prestigious event returning to the borough, St Helens Council Leader Derek Long said: “Reaching the candidate stage for host venue is great news for rugby fans and local businesses as the season ends. “Rugby league is in our DNA, that’s why we have put together a great bid in partnership with Saints to bring this spectacular occasion back to St Helens which already boasts top-class sports facilities. “Not only would the opportunity to be a host venue significantly benefit strategic initiatives such as the St Helens town centre regeneration project – it would boost the profile of the borough tenfold, – while promoting positive wealth and wellbeing messages and bringing our communities together, which the power of sport is influential in doing. Saints Chief Executive Mike Rush added: There has been a great deal of time and effort put into making sure that the bid from St Helens is as strong as possible. It is fair to say that this is what we all wanted the stadium and town to be able to stage for the benefit of the community, town, wider region and the game of rugby league in general. The full list of successful venues is expected to be announced early next year.